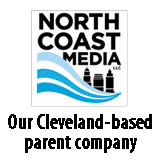 James Guyette is a contributing editor for LP Gas. Propane industry experts look ahead to winter Posted on 05 Oct 2018 in the Current Issue & Featured categories. Automation adds efficiency to cylinder exchange market Posted on 11 Sep 2018 in the Current Issue & Featured categories. Improving residential and commercial properties with propane Posted on 06 Aug 2018 in the Current Issue & Featured categories. Bracing for the impact of US tariffs on aluminum, steel Posted on 19 Jul 2018 in the Current Issue & Featured categories. How propane retailers are recruiting drivers Posted on 18 Jun 2018 in the Current Issue & Featured categories. Propane’s role in the reemergence of manufactured homes Posted on 06 Jun 2018 in the Current Issue & Featured categories. 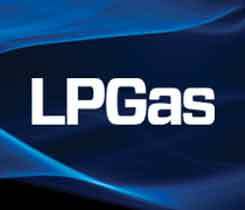 Propane retailers offer feedback on fluctuating heating season Posted on 19 Apr 2018 in the Current Issue & Featured categories. Propane’s role in oil and gas fields Posted on 06 Apr 2018 in the Current Issue & Featured categories. 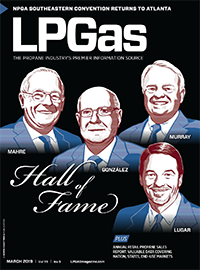 LP Gas Hall of Fame profile: Bill Clark Posted on 23 Feb 2018 in the Current Issue & Featured & Hall of Fame categories. Propane’s role in hurricane relief efforts Posted on 15 Nov 2017 in the Current Issue & Featured categories.